Will new plans for city trams help China solve mounting urban congestion? China could be undergoing a renaissance in tramways over the next decade, if the 300 billion yuan ($49 billion) investment outlined in the 12th five-year plan comes to fruition. Over the past two years, a number of cities, including Shanghai, Beijing and Shenzhen, have formally announced plans to introduce modern tramways. Major cities in China have had trams in the past, but their use began to decline in the 1960s. 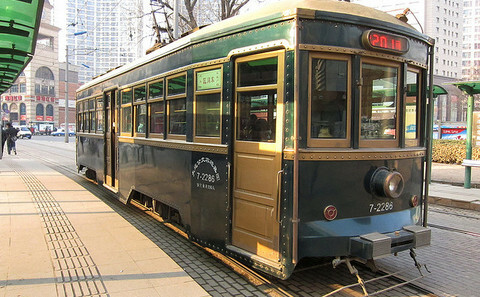 Dalian, in the south of Liaoning province, was one of the few cities that managed to hold onto its tram network, turning it into a tourist attraction as well as an important mode of transport. Hong Kong has had a tram network since 1904. China CNR Corporation, the state-owned rail equipment manufacturer, told China Daily that a total of 54 modern tramways, and 1,200 trains, are planned in various Chinese cities. German firm Voith has also just signed a 57 million yuan ($9 million) contract to develop low-floor tram technology for China, while Canadian firm Bombardier was involved in a 10-year agreement to license its tram technology to CSR Puzhen, a subsidiary of China Locomotive & Rolling Stock (CSR) in July 2012. In first tier cities, trams are expected to link subway stations to the ever-expanding suburban districts; for example, Shanghai urban planners have proposed building 700 to 800 kilometers of new track. In second and third tier cities, Zhou Yimin of China’s Urban Rail Transit Special Committee says trams can go a step further and become the “backbone” of city transport. With predictions that China’s urban population will rise by 350 million to almost one billion by 2025, the need for more efficient modes of public transport is becoming acute. Subways and buses currently dominate the majority of China’s cities public transport model, but these systems have become increasingly over-crowded, and there are also concerns about their financing. Although as many as 26 cities are said to have begun drawing up plans to develop tramways, there is ‘no overall plan or national standard in place to help guide development’, reported The Economic Observer recently. However, even without specific plans in place, the building of city tramways could provide relatively quick relief for urban congestion problems. Bao Xuding, head of the China Association of Metros, has suggested construction could be completed in just one or two years. Trams are also considered to be a more environmentally friendly means of transportation in the city, compared to cars, buses and subways. Recently, Shanghai officials have talked about introducing a new type of low-carbon, energy saving tram into the city. With a less invasive construction process, modern trams are said to consume much less energy whilst significantly reducing noise pollution. When I lived in Shanghai in 2003 I met a French woman whose company had been hired to develop a transportation plan for the city. They concluded that trams were the best option for the city, but the city rejected their plan because trams are "not modern enough." Nice to see that they've come around. Natasha Howitt is an intern at chinadialogue. Could smartphones help clear China’s congested roads? As well as putting a stop to closing roads, officials should start taking public transport.